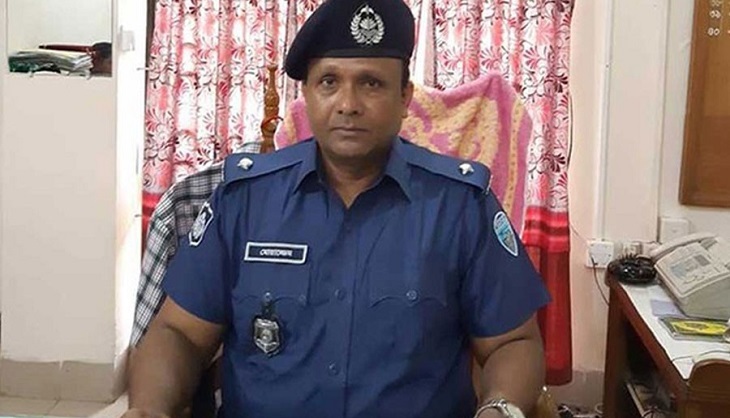 A case has been filed against former officer-in-charge (OC) of Sonagazi Model Police Station Moazzem Hossain under the Digital Security Act on charge of spreading a video on social media on Feni madrasa girl Nusrat Jahan Rafi's statement at the police station. Supreme Court Lawyer Barrister Sayedul Haque Sumon filed the case today with Cyber Crimes Tribunal under section 26, 29 and 31 of the Digital Security Act. According to the case statement, the OC called Nusrat to the police station on March 27 after she filed a case against Maulana Siraj Ud Doula, principal of Sonagazi Islamia Senior Fazil Madrasa, for sexually harassing her. Dhaka Cyber Tribunal Judge Ash-Shams Jaglul Hussein is likely to hear the case later in the day. Nusrat, a student of Sonagazi Islamia Senior Fazil Madrasa in Sonagaziupazila of Feni, was set ablaze on April 6 allegedly for refusing to withdraw a case filed against principal SirajUd Doula of the madrasa for sexually harassing her last month.